VitaLift A+ Brillage Nano-Biocellulose Face Mask is soaked in a cocktail of active ingredients to deliver multiple benefits to your skin. Made of nano-grade organic fibres, the mask fits snugly on your skin to allow maximum penetration for greater efficacy. 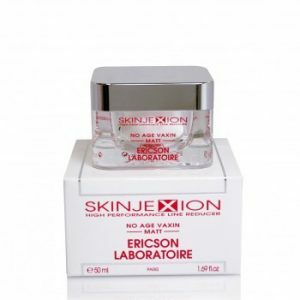 It aids in cellular repair and has amazing anti-ageing, whitening and moisturising results, providing an instant hydration to achieve bouncy, supple skin. Repair Complex CLR™ is a biotechnological anti-ageing active, obtained from a lysate of probiotic bifidobacteria, which potently protects against UV-induced damage in the skin. UV radiation leads to skin cell damage and immunosuppression, a deactivation of the local immune system in the skin. 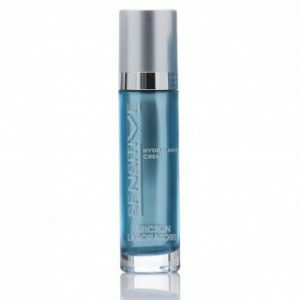 By effecting activating anti-immunosuppressive processes on the cellular level, Repair Complex CLR™ increases cellular repair and potently supports the skin’s endogenous protection mechanisms. Repair Complex CLR™ thus counteracts premature skin ageing, i.e. photo-ageing. The combination of chemistry and peptide synthesis technology led to the development of an anti-wrinkle ingredient -> acetyl hexapeptide-3, also known as Argeriline. With a similar biochemical mechanism of botulinum toxin (BOTOX), it can block nerve conduction, so that muscle cells show relaxation and reduce muscle contraction, to achieve the role of elimination of wrinkles. ActiSoothe™ is a bio-activated aqueous extract of Cordyceps Sinensis, and Coriolus Versicolor. It is able to reduce the induction of COX2 (cyclooxygenase) enzyme, mediating inflammatory responses. Clinical trial tests showed that ActiSoothe™ is able to reduce skin reactivity to irritants and reduce the visible effects of UV damage, including skin redness and flakiness. Niacinamide, also known as vitamin B3 and nicotinic acid, is a potent cellcommunicating ingredient that offers multiple benefits for ageing skin. It can improve skin’s elasticity, dramatically enhance its barrier function, help erase discolourations, and revive skin’s healthy tone and texture. 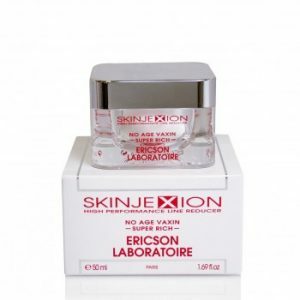 Topically applied Niacinamide has been shown to increase ceramide and free fatty acid levels in skin, prevent skin from losing water content, and stimulate microcirculation in the dermis. 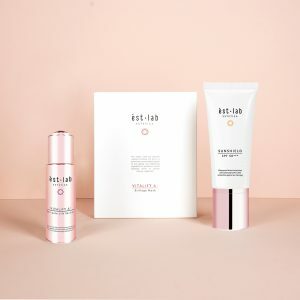 It also has a growing reputation for being able to treat an uneven skin tone and to mitigate acne and the red marks it leaves behind (known as postinflammatory hyperpigmentation). It is an excellent ingredient for those struggling with wrinkles and breakouts. 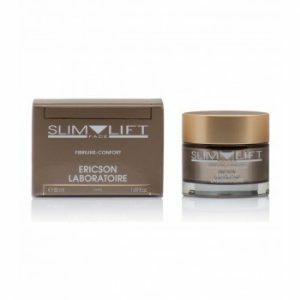 Licorice Root Extract is a skin conditioning agent that works to improve the appearance of dry/damaged skin by reducing flaking and restoring suppleness, and also functions as an anti-irritant with anti-inflammatory and skin soothing capabilities. In fact, clinical tests point to the ingredient as an effective treatment for atopic dermatitis. Studies have shown that it may also inhibit the skin’s tyrosinase activity and melanin production, making it a potential lightening/brightening agent that prevents hyperpigmentation. Sodium Hyaluronate has a smaller molecular size as Hyaluronic acid (making it especially penetrative), and is able to hold more water than any other natural substance—up to 1,000 times its weight in water! Thanks to these to attributes, when applied topically to the skin it can reach deep down into the dermis to combine with, maintain and attract water. It also promotes skin/blood microcirculation and nutrient absorption, and helps maintain normal metabolism. Thanks to its super-sized hydrating properties, Sodium Hyaluronate will result in smoother, softer skin with decreased wrinkles and an all-around fuller appearance. Apply to perfectly cleansed skin in the morning or evening. Remove mask from protective sheets. Place mask over face. Press firmly to ensure no air pockets are present. Peel off mask after 20 minutes. Gently massage any excess product into the skin. For maximum results, apply twice a week. Face-fitting These cellulose sheet masks are the most face-fitting that I’ve ever tried!! For an extra boost I use this sheet mask on days where my skin looks tired and when I need a little extra help to put the glow back on my face. A bio-cellulose mask that targets multiple concerns all at once, my skin always looks plumper, more hydrated and radiant after every use. Radiant and hydrated skin My skin is so much more radiant and soft and hydrated, and it is not oily or sticky at all. Favourite mask VitaLift A+ Brillage Face Mask is my favourite, has been using it since earlier this year, definitely help to moisturise and keep my skin firm! Super shiok my face was so hydrated and felt extra cooling (almost icy) after. 💦❄️It’s also has that very thick bio-cellulose like material which is super shiok. Love the gel-like masks! Love the gel-like masks and especially on the eyes! Est-lab very kindly sent me these and i couln’t bear to finish using them! 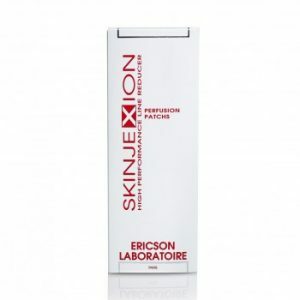 Delivers what it promises I could safely say that after just one application, my complexion was glowing the next morning! My makeup also glided on smoother and led to a flawless look, which kept my spirits high throughout a long workday. Another plus is that after the recommended 20-30 minutes of application, there was no residue left on my face, which felt tenderer and slightly springier to the touch than usual. Effects were obvious and I love this mask for its snug fit I LOVE how this mask fits comfortably and perfectly onto my skin! You can see the OBVIOUS repair on my skin! 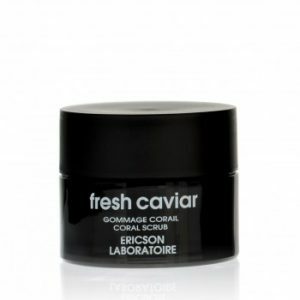 I felt instant firming, moisturised and it soothes my sensitive skin such that all redness is gone. I could feel the richness of the mask Made of nano-sized organic fibres, VitaLift A+ Brillage Face Mask is soaked in a cocktail of active ingredients to deliver multiple benefits to the skin. The sheet is thicker than usual and I could feel the richness of the mask when I place it over my face. the most special mask i ever use before VitaLift A+ Brillage Mask is the THICKEST mask I've ever seen before. While doing, I was whatsapp-ing with my friends and I told my gf about this mask. Surprisingly hor, the mask didn't drop/fall out despite it's thickness (weight). And hor, this mask won't ever dry up, I think. I put for about 45 minutes, the mask was still very moistured. I rubbed the balance moisture on my neck and arms! I don't know whether it's 心理作用 or it's really 一分钱一分货, my face looks brighten up right after the mask!!? However, I can't really bear to buy it cos it's not cheap, was telling my friend that the masks I'm using cost less than $1 from Korea! =X (Most masks are made of paper, which cannot ever be compared with VitaLift A+ Brillage Mask lah! Although it's expensive, but it's the most special mask i ever use before.) But I wouldn't mind buying it for my mum, heehee! instant brightening results! i love the texture of this mask. it is not like the normal paper sheet masks. the texture is like coconut pulp and very cooling on the skin. after 1 use, my face looks much brighter and radiant! A special mask This mask really works! It's not like those paper masks you get from those Korean shops at all. I don't know how to describe the texture but you have to feel it to notice the difference. I put this at night and can see the effect the next morning - very very smooth skin and the skin is also very clean and supple. 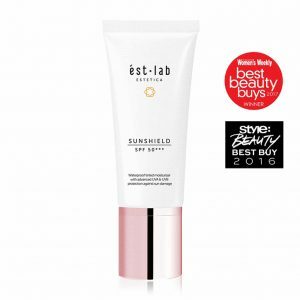 My top choice, especially when my skin feels dry and dehydrated and also when I am travelling. The most value for money mask I was so surprised at the awesome active ingredients in this when I used this. many beauty shops are selling this type of mask at a $60+++ per piece! for this quality as this is not a paper mask..is bio-cellulose. it comes in a bubble wrap envelope and the delivery is super fast! Honestly, I think this is probably the most super hua suan deal I have seen in a very long time! I really feel like I found a gem with this bio-cellulose mask. my only feedback is to allow us to buy more instead of 1 per registered customer!!! more dewy and softer skin I am crazy over masks! Mainly because of my skin condition. I used this yesterday and my skin definitely looked more dewy and is softer, just after 1 mask. Power! brighter and more hydrated skin. The serum is highly concentrated. 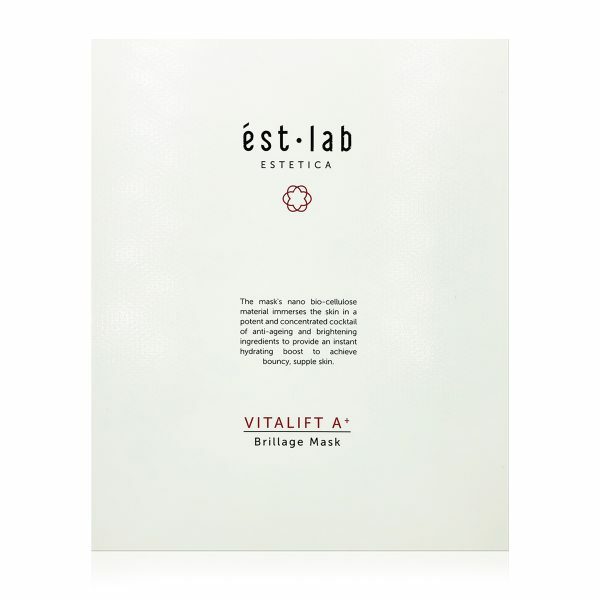 The Estetica Vitalift A+ Brillage Mask is a bio cellulose mask that adheres perfectly to the skin and allows you to move around freely during usage, without dropping off. 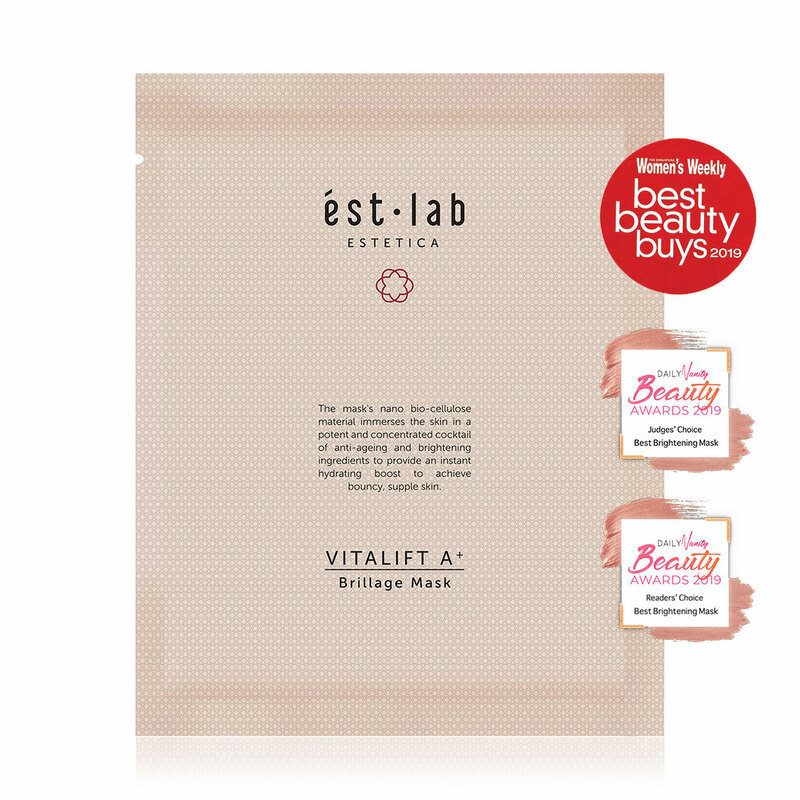 It is s soaked in a cocktail of active ingredients to deliver multiple benefits to your skin. Results are pretty spectacular The texture of this mask is kinda different from the types that are available everywhere. It’s not paper & definitely feels like heaven. I’ve always had problems with enlarged pores on my left cheek area & I feel that this mask was extremely effective in shrinking them. With each subsequent use, my skin is getting better week by week. I can’t get away from the mirror now that the reflection I see is ultimate radiance & luminosity. visible effect and instantly hydrated after the maskÂ The mask is really “solid” and didn’t slide down even though I was fidgeting about. Skin felt more hydrated immediately after the mask. Visible and instant beauty effect comes with a price tag of S$10 each. To me it’s worth it, cos’ you may use 10pcs of cheaper masks (spending the same amount of money) but may not achieve this effect. Favorite product Every time I have this mask on for 20 minutes, the next day in the morning when I wake up, I can feel very soft, dewish skin like never before.